Introducing our Langer Master. Come and play with our Langar Master. May the luck favor you. Careful with your finger in nail-biting moments. Meet the GOOGY, our tiny little character playing along the plank. In a gush comes monster balls from the above hitting all over..
Meet the GOOGY, our tiny little character playing along the plank. In a gush comes monster balls from the above hitting all over. Left and right moves the Googy losing the balance. Get into the game and help the tiny Googy from falling off the plank. The Aliens are on a mission to explore the planets. Aarrrgg!! Boom in the space. The spacecraft got wrecked as it hit meteor storm. Start your journey in to the dark and vast space and help. 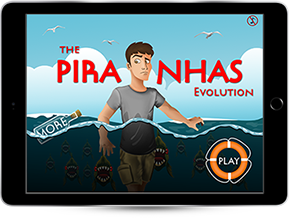 Help Ethan to cross the sea from his wrecked boat by avoiding the deadly piranhas. The Master and the Mau(Egyptian Cat) make a great pair. Two witty minds have planned to grab the medals that unearthed from a Treasure box. The Master and the Mau(Egyptian Cat) make a great pair. Two witty minds have planned to grab the medals that unearthed from a Treasure box. Find the path between the Mau and the Master by breaking down sand rocks and grab all the medals. "Oye Bubbly" is an underwater arcade game with lots of fun. You have to burst the Bubbles and avoid Bombs. 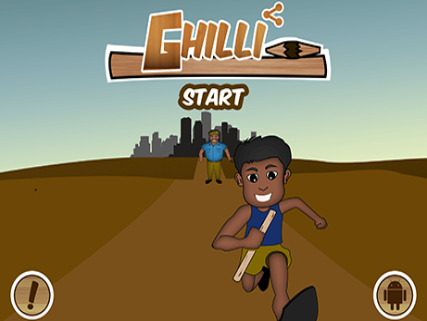 Ghilli-Danda is a traditional street game which every men across Asia would have played in their childhood days. Welcome to the fantasy Dino world!! Catch the spectacular view of the Dinos laying eggs. Get into the game and save the eggs from falling down and breaking. Welcome to the fantasy Dino world!! Catch the spectacular view of the Dinos laying eggs. Get into the game and save the eggs from falling down and breaking. Move the basket Up, down, left, right to grab the eggs. Its Action time with Ninja! 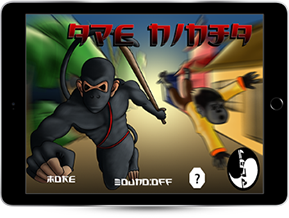 Travel the race in the challenging path with Ninja as he collects gold coins. Watch out. Fetching gold coins is not going to be easy. A game from santa to home with many gifts. Santa begins his journey by collecting gifts and to present the kids by reaching their home. Don't have a play area nearby? Dont't have a play group to game? Never mind. 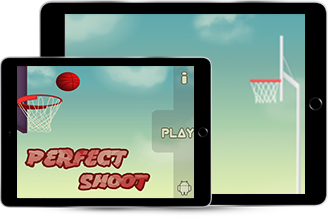 Presenting you virtual perfect shoot. Aim and shoot it right for more points. Interesting and motivating levels that will glue you to the game. It is small but valuable. It is just coins but priceless. Every penny collected by affection & appreciation. It gives a sense of belongingness and encouragement to fill in more. Our piggy gives & assures you the same feeling. Get on and collect as many coins as you can in the money shower. Its merry merry Christmas time. Santa is all over gifting joy and happiness. But you are special in this game. He has a bundle of surprise gifts for you. Its merry merry Christmas time. Santa is all over gifting joy and happiness. But you are special in this game. He has a bundle of surprise gifts for you. Come play a game with Santa and grab the gifts that are showered upon. Marlyn is a tiny clownfish in its own little happy world. Suddenly came with a gush, fleet of predatory fishes. Left & Right, Up & Down went the tiny Marlyn and just missed out to be the prey. Crazy chimp is an interesting game where the chimp has to catch the squirrel teasing him. 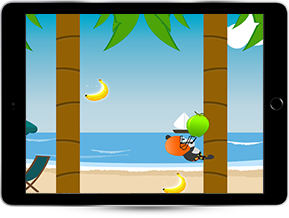 User have to control the chimp to avoid the coconuts thrown by the squirrel. Spiffy are smart, brainy, nerdy. The triplets are trapped. They need your help for rescue. Give directions to the froggy for jumping from one leaf to another to reach the rock. All leaves are not the same!! Choose each jump wisely and don't let the froggy sink. Mosquito Zapper is a funny game where you can kill the annoying mosquitoes with your zapper. You need to survive from the mosquitoes attack and keep an eye on your blood meter to stay alive. Relay Ball is a fun filled simple game. Your goal is to prevent the ball from hitting the wall as long as you can and more you prevent more you score. Feed the Croc..! Not simple.. It is as tricky as you do it in real. 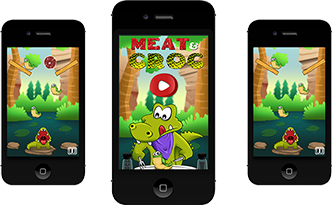 The Croc is ready with its knife and fork for the juicy, tender & mouth-watering meat. Wanted Racer has been designed for both kids and adults to give them an awesome experience of car racing. Stickman's curse is making him invisible; collect ink bottle to make him visible and alive. Warriors are specialized in combat and exhibit bravery to their fullest. The game features two fearless & heroic fighters who have been deployed with a rotating strategy to fight the huge enemy fleet and march ahead, towards victory. 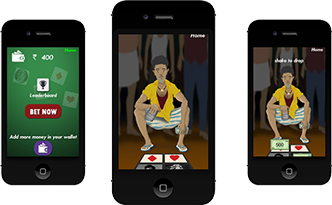 A challenging strategic game that will get the player to the edge of the seat. Three little mice taking an enjoyable journey in the desert. Travel with them through their voyage. Hop from being bitten by hissing smakes and prickly cactus. Hop and grab food for more life. Three little mice taking an enjoyable journey in the desert. Travel with them through their voyage. Hop from being bitten by hissing smakes and prickly cactus. Hop and grab food for more life. Travel as far as you can and make a place in Leaderboard! Have a great journey. Ninja's are back yet again for a bundle of fun and edgy game for all. Aim and Bump the red, blue, green ninjas in to their own territory and gain points as they hit the points scale. Our hungry little character is sweet hungry. Feed the hungry-tummy with scrumptious sweets. Look out for bonus sweets to gain more points. The game just gets interesting as you level up. Eat more gain more. iOS only mobile application for an oil drilling client, which allows admin of a specific site to create and update task and assign to employees. Fasttrack is an smartphone based booking and dispatch platform for the taxi industry in India. Brunphil is a mobile remittance platform which offers users of various segments a flexible fast and regulation compliant money transfer services within and out of singapore. Fixeous is home-repair service provider that provides quality technician to fix home repair needs to the users at a timely manner and a fair price. A Custodian could be a Parent, Guardian, Family member or Friend of a Player that wants to track a Player’s and his/her associated team’s Practice Schedules, Game Schedules, Results and Pool standings throughout a tournament or a season. REDSUN Meat App has been created to deliver the Fresh & Quality meat and Sea Foods to the customers on demand directly to their home. REDSUN Meat App has been created to deliver the Fresh & Quality meat and Sea Foods to the customers on demand directly to their home. Customer can book the Fresh Chicken, Goat, EGG and Fish on the mobile phone on one click and it will be delivered with Great quality, clean and fresh quickly. The targeted audience is in Chennai. Customer can pay CoD or by Credit / Debit card or by Netbanking. At TOP4 Call Drivers, We rent professional chauffeurs to drive for you at 24 hours, in the luxury of your own car. Create your own Business Card in just a few seconds. Its easy to do. GASP is specifically designed to suit Sports, adventure and fitness enthusiast and to change the perspective of the way people play and look at these activities in India. With efforts to accelerate your access to entertainment Jazz Cinemas is now all set ready to go with its Mobile App. Now book your favourite Box Offices anywhere and anytime. PMS insight mobile app allows clinic and hospital management to monitor live data while on the go with mobile devices anywhere, anytime. IRPL mobile application is a mobile-efficient remittance platform that empowers singapore clients with a proficient and faster means to transfer money globally. Byju's application provides platform for students right from high school foundation class 6-12 math & science to prepare for competitive exam like JEE, AIPMT, CAT &IAS. TrackIdOn is an exclusive Mobile and Web Tracking system for educational Institutions and Parents to ensure safety of the students. Zaya LEARN is an android learning application which essentially creates a new and engaging academic experience in Schools to improve the performance of students. Infinite Student helps bring together schools on one seamless platform. It is the ultimate communication and learning tool for Teachers, Students, and Parents. Lilly-Buds, is a kids app specially made for physically challenged children, to enable the child to learn the personal information and identify their classmates name and information. It will be used by the caretaker to customize the application based on the child’s ability/needs. The app can be used in a classroom environment, the teacher (or the school) provides the tablets for the children to use. mGuru is a fast and interactive way for children to learn English and Maths. 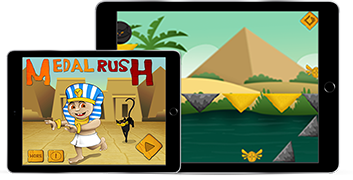 Designed for kids aged 4 - 10, the app provides a range of activities, games, stories, and content. Church Community Software (CCS) is a cloud-based church management service app, can accessible at any time by all the church members. It provides unlimited access, track and get engaged with your congregation. CCS mobile app provides mobile access to stay up to date with the parishioners/pastorate-members. We are here to bring polling and voting to your fingertips. With the state of the art BI and analytic that you expect today only on web native applications. We not only thrive to bring this service to you for free. but also to help you make money with this. JCS Jewel Creation is a jewellery manufacturer, wholesaler, exporter of fashion, artificial and Imitation Jewellery. smartTm is an innovative GTD task manager with bi-directional evernote synchronization that enables users to easily create task from full or partial evernote notes, in addition to managing theri calendars and projects. AtYourPrice is a robust web based business travel solution that automates travel planning, requisition, approval, fulfillment, invoicing, reporting and duty of care. LBA CRM is a simple and an efficient online system to manage current and future customers of LBA. 4wayEHRM is an integrated mobile health record and appointment scheduler system specially designed for doctors. The application will be linked to a web based patient management system and the updated appointments can be viewed in the mobile application. Also individual patient's contact details, treatment history and doctor's daily & weekly payment history can be accessed easily using this application. Valentine hangout evaluate the strength of your love relationship. This application gives suggestion. Valentine hangout evaluate the strength of your love relationship. This application gives suggestion for the best hangout place and gift for your valentine. It is a user friendly and readily available application to improve language skills. Sentence can easily be formed just by prefixing / suffixing a few words. RMS has been developed for Restaurant and Hotels to cater the PoS. It has 4 Modules, inventory, KoT, Billing and Settlement (payment). It has been integrated with Smart Devices (Android and iOS) where waiter can be able to take the order using mobile devices. Pocket Gym is your personal pocket trainer, so you no more need your physical trainer! Application includes 230 exercises. You Cloud - the most powerful tool which must reside on your Android devices and if you do all your data will be safe like the money you’re having in your Vault. Ultra modern technology that will make sure all your opted data are backed up on the cloud server. NearbyU app will find the near by places using your current GPS locaton. You can find ATM, Banks, Hospitals, Restaurants, Hotels, Schools, Shopping Malls anything you name it. You can also get the route map from your present location to reach the place. Create Your own greeting card to your loved ones in just a few seconds. It is easy to do. The Application is developed for the Churches. The app will project Church’s history, Values, Mission, Events, Message to the people, Father Preachers & Ministries. Westlake the mobile version created for westlake Financial Services; through this application the users can pay their dues, can request for the email preferences, see their payoff balance, last due amount, future due, etc. Tabler App is a restaurant finder app that lets you browse through the restaurants based on wide range of aspects to find the perfect choice for your dining experience. Radio Dart plays an eclectic mix of the finest music in the world. Rock, Folk, Blues, Country, Westcoast, Classical, Dance, Chill and Jazz. WhereIsMyBus is a bus finder application based on GPS. It basically shows the current location of the bus travelling between the selected source and destination using the GPS coordinates. iCollaborate is an application which maintains the information regarding the purchase of the cars from the showroom. It is used for registering all details of the buyer and the transaction. FieldServ is a simple yet powerful field service automation and mobile workforce management solution. It is a perfect solution for service companies that wants to automate the job assigning and dispatching process. FieldServ is a simple yet powerful field service automation and mobile workforce management solution. It is a perfect solution for service companies that wants to automate the job assigning and dispatching process, so that the mobile workers such as field technicians out in the field can be more productive and complete more work tickets in a day; also can transmit job related information including audio, pictures and location to the office real-time. Official application of Asaduddin Owaisi, Member of Parliament. Glosim facilitates purchase of SIM cards through Mobile App. By uploading the required documents, the user identity is verified. HCR Employee Relocation Case Management Portal and Global Mobility App provides each assignee with a single secure web portal. Prince Jewellery is one of chennai's most contemporary jewellers, specializing in the latest variation of fashionable ornaments ranging from gold, diamond, rubies & emeralds. Movers Fax provides key information about various moving companies in the US and Canada subsequent to profound analysis of their authenticity. Movers Fax provides key information about varios moving companies in the US and Canada subsequent to profound analysis of their authenticity. Contacts Merge application is used to find the duplicates in your contacts list and merge them. It also has other filters like contacts with no phone, contacts with birthday, contacts with job, etc. There has been a transition in the lives of women from being confined to their houses to achievers in corporate world, entrepreneurship, leadership,economist and in almost all fields of profession. Solid Solution has been developed to connect with Solid online, an ERP web application and this application allows the employees to update their availability information for the upcoming weeks and to view when and where they are allocated in the project. SEEKWINK is an Online store which links the traders and clients / customers virtually to buy and sell products and offers a pleasant experience on product search for the customers. The university directory is a mobile app for future college students that will be the single point of information about all studies in Netherlands. Create your own greeting card to your loved ones in just a few seconds. Its easy to do. Pregnancy workout Advisor is a perfect companion for a mother-to-be. It advises you on various workouts ideal for every trimester. An application designed and developed for assessing body mass based on the height and weight. First Aid Plus will give you the temporary help to an injured or a sick person before professional medical treatment. HHC is a Web application for small and mid level hospitals to manage the patients, their appointments (OP), Call Logs and the billing. Patient can register through online and can have a treatment from home. HHC is a Web application for small and mid level hospitals to manage the patients, their appointments (OP), Call Logs and the billing. Patient can register through online and can have a treatment from home. They will get the bills and receipts through online. Developed as a web application to handle day to day operations of leather manufacturing company. Authentication and authorization based user access with easy navigation. User inputs are validated before updating database tables to ensure accuracy of data. The machinery process and operations are hierarchically oriented and inter-related to one another. Wages to employees / operators are calculated and available to users through customized reports. French Alley is a ecommerce web application done in Magento, where user can buy and sell luxury products. Ogone and paypal payment gateway are integrated for user payments. Selected as a chapter wise or by type of questions, answer them and then be evaluated. RMS has been developed for Restaurant and Hotels to cater the PoS. It has 4 Modules, Inventory, KoT, Billing and Settlement. RMS has been developed for Restaurant and Hotels to cater the PoS. it has 4 Modules, Inventory, KoT, Billing and Settlement(payment). It has integrated with Smart Devices (Android and iOS) where waiter can be able to take the order using mobile devices. Vitalaya is a ecommerce web application done using Magento, where user can buy and sell eco friendly products. Ogone and paypal payment gateways are integrated for user payments. This project has been developed for Cyber School Technology Solutions (CSTS), Kenya and it is an educational application with a social touch, covering Kenya Certificate of Secondary Education (KCSE) examination and other examination boards. 360 Degree is a complete online appraisal system suitable for any organization. Any employee can assess his / her peers, seniors, juniors and themselves. BonSpero is web application for small and mid level hospital management system. It's attached with payroll management system. It maintains the client records and day to day activities. They will get the bills and receipts through online. DataOnTheFly, Web based Business Intelligence Solution, to provide analysis service to its users to find and analyze the various data for Air Carrier Financial Reports(Form 41 Financial Data), USA. DataOnTheFly, Web based Business Intelligence Solution, to provide analysis service to its users to find and analyze the various data for Air Carrier Financial Reports(Form 41 Financial Data), USA. Provided simple interfaces for users to perform OLAP analysis on the cube data. The Enterprise Resource Planning (ERP) is a web based application mainly developed for manufacturing industries, with modules of purchase, inventory, sales, production, material management and HRMS. SEEKWINK is an online store which links the Traders and Clients / Customers virtually and instantly. This application provides a platform for Traders to exhibit their Store and Products and offers a pleasant experience on product search for the Customer. SEEKWINK is an online store which links the Traders and Clients/Customers virtually and instantly. This application provides a platform for Traders to exhibit their Store and Products and offers a pleasant experience on product search for the Customer.